Here at Rock Jungle Boulders, we’ve got you covered. 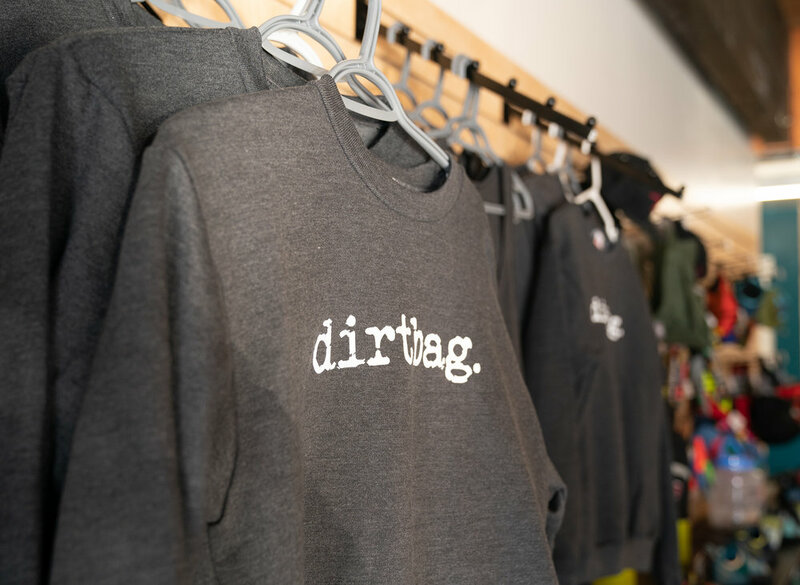 From a wide range of shoes, chalk bags, chalk, sweaters, tees, tanks, and other climbing necessities, we have everything you need, right here, to get you crushing your projects. As an added bonus, Rock Jungle members receive 10% off all merch, so you can send in style and save a few bucks on the side. Come on in and check us out! We currently carry the following brands: La Sportiva, Evolv, Scarpa, Mad Rock, Organic, Flashed, Friction Labs and apparel from both Rock Jungle Boulders and Dirtbag Cafe. Have a request or suggestion? We want to hear from you! Give us a shout at rockjungleboulders@gmail.com. Can’t find your size? You can request any size of the rock climbing shoes we carry and we will order it in for you. If it doesn’t fit, no worries! You only pay once you’re happy with the shoe. See staff for details. Don’t forget, as a Rock Jungle Boulders member, you will receive 10% all merch, all the time. Get psyched!